I really like daily deal site Groupon, mostly because of their fantastic afternoon tea vouchers. 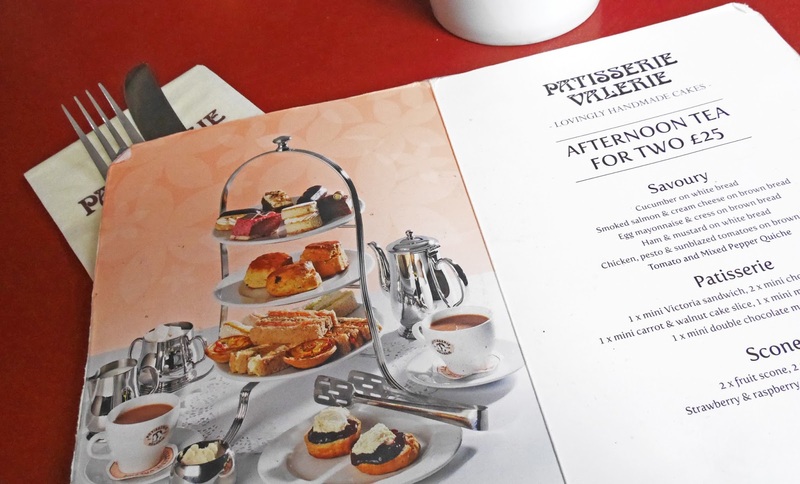 Groupon are offering an afternoon tea for two at Patisserie Valerie currently, and as a big fan of the café, I had to get one of the vouchers. The voucher I bought costed £20 (£5 off the original price), but now it's actually available at £19! For two people, it is an absolute bargain. My sister and I went there for lunch today and I thought I'd talk about it on my blog. We arrived at Patisserie Valerie in Cambridge city centre around midday. It was already so busy at this time! We were seated and given afternoon tea menus to have a look at whilst the waitress brought us some tea. The best thing about this particular afternoon tea is that you get refillable tea! Some places charge you more for anything after your first cup, so it's nice to actually have it included. We drank a lot of tea whilst we were there, so we definitely got our moneys worth haha! After about 15 minutes, they brought us our food: adorable finger sandwiches, mini vegetable quiches, scones and an assortment of cakes. The finger sandwiches came in a variety of flavours: cucumber, salmon, chicken, egg mayonaise and ham, but as myself and Steph are fussy, we only asked for a few of the flavours. 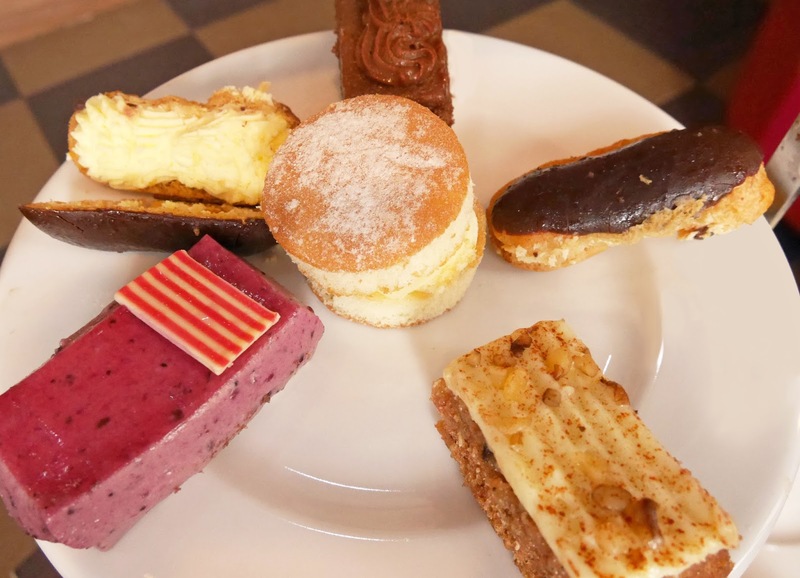 Although the sandwiches and quiches were nice, it was the sweet items that made this afternoon tea brilliant! The scones were delicious; so golden and fresh. However my favourite cake was the double chocolate mousse slice, it was one of the yummiest chocolate cakes I've ever eaten! All of the cakes were so beautiful and it was great seeing them all presented on the cake stand with the sandwiches. We couldn't resist taking lots of photos! For the price, this afternoon tea was fantastic. 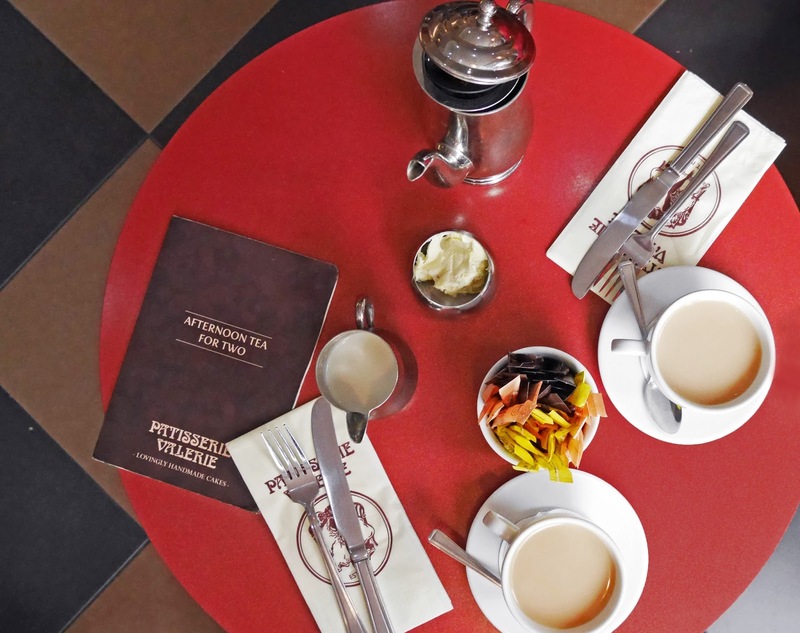 The Groupon offer is also available at all Patisserie Valerie locations, so you have 120 cafés to choose from! You're bound to find one in your local area. If you fancy purchasing one of the Groupon vouchers, click here. 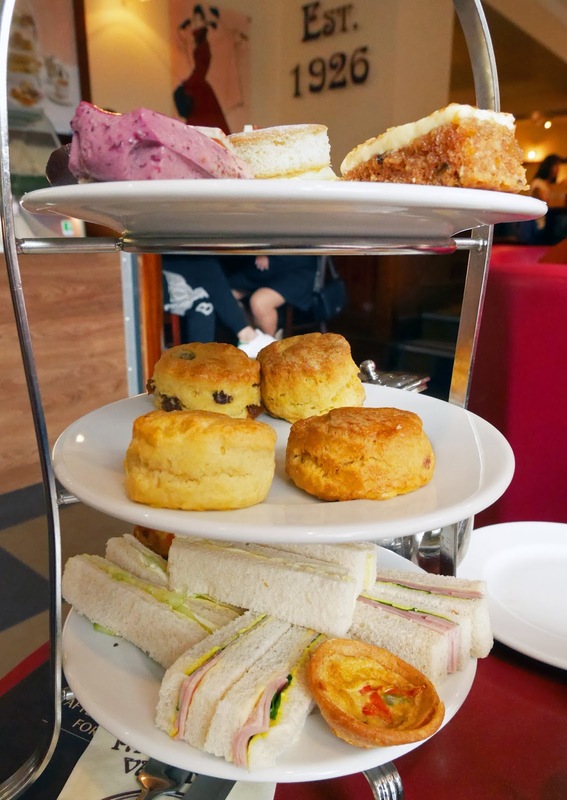 Let me know if you end up visiting Patisserie Valerie for afternoon tea. It looks so beautiful, I love afternoon teas! I've never heard of this place before so I'll have to see if there's one close to me. Lovely photos as well!